A dynamic operand that evaluates to the lower-case representation of the supplied operand, used in a Comparison constraint. 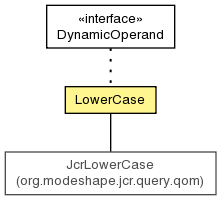 Create a dynamic operand that evaluates to the lower-case representation of the supplied operand. Get the dynamic operand that is to be lower-cased.